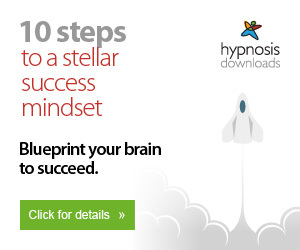 Your Law of Attraction Questions Answered -FREE! Legal disclaimer: All answers are given in good faith but no responsibility can be accepted for the consequences of following the advice given. Question: Hello Jack, Well my question is simple. I am Hispanic and I love white women. I want to get married to a white woman and have babies with her. The place that I come from has very few white women and I myself do not know any. How do I go about it using the Law of Attraction? Please help. Thanking you, K.R. Jack's Answer: Hello K.R. First let me stress for the benefit of the people reading this that the terminology is yours and not mine. Secondly let me assure you that yours is not as big a problems as you probably think it is. Don't worry about how its going to happen. The 'how' is not your concern. Your job is to get clear about the 'why'. If the 'why' is big enough the 'how' will take care of itself and the Universe will arrange itself for you. I strongly suggest that you enrol on my free eCourse and follow all the steps I teach you there. If you do, then the woman of your dreams WILL come into your life, no doubt about it! She is looking for you right now but there are certain things you need to do to make it happen and I explain what those things are in the course. Jack's Answer: Hello Harneiss. What a bummer! Firstly I must stress that I am not qualified to offer legal advice. If you are considering suing you need to get qualified legal advise, or at the very least, well meaning advice from the Citizens Advice Bureau, but don't mess about, go and see a solicitor. You could also swallow your pride, talk to your previous employer, explain what has happened and ask for your old job back. You are adamant that you did nothing wrong but is that really true? Did you really do the very best job you could possibly do? Now I have a reputation for being blunt so here goes. If you wrote to the company's customers the same way you just wrote to me, full of spelling mistakes and capitalisation errors, I would sack you too (what appears above is my cleaned up, corrected version of what you wrote). You really must get into the habit of giving your very best in every moment, regardless of what activity you are engaged in. When you have mastered that, start going the extra mile (all explained in depth in my free eCourse). Then consider whether being sacked realty was a bad thing in your life. I know it looks that way now but five years from now, when you look back, you may see how it fits into a bigger pattern. No guarantees but it often happens that way. Back in the 1980s I was starting to learn the principles I now teach. I was doing my affirmations and my visualisations every day. At the time I had a dead end job earning 200 pounds a week in Kent. I clung to that crappy job so hard because I had nothing else. I had just lost the relationship of a lifetime too and that played on my mind so much it affected my work and eventually I got the sack. I was devastated!!! I had lost everything. Well almost everything, I did have a new girlfriend. I wasn't really ready for a new relationship but she was very kind and understanding and was helping me a lot. In fact she taught me most of this Law of Attraction stuff although we didn't call it that then. Looking back, meeting that woman was probably the best thing that ever happened in my life. The downside was that she lived in East London, an hour and a half from where I was in Kent. When I told her I had been sacked and could no longer afford to make the long journey to see her, see insisted I cut my expenses in half by moving into her flat. "We will manage somehow" she said. Although this country boy hated the idea of moving to a filthy (in those days) inner city slum, I accepted her offer. Walking through the High Street one day we came across a rundown indoor market with a booth to let. We thought, "let's give it a go". It cost me all my severance pay (one month's wages) to rent that small booth and stock it with perfumery items, bath candles, potpourri, and that kind of stuff. Anyway in that dirty, smelly area it was a knockout. Soon we moved into bigger premises. To cut a long story short, that was my start in life and had it not been for the two biggest disasters of my life in quick succession, none of it would have happened. I don't know whether you are intentionally using the Law of Attraction (LoA) and doing any affirmations and visualisations but if you are, this disaster may just be your gateway to your new life, as it was for me. The thing about the Law of Attraction is that it is always working, every second, whether you are intentionally using it or not. If you are thinking about what you don't want (worrying) then the LoA will bring you whatever you are worrying about. However if you are working the LoA deliberately, if your predominate thoughts are about the life you do want, this apparent disaster may just be clearing the decks for something very much better. Christians tend to say "The Lord moves in mysterious ways, his wonders to behold". Whether you prefer to say 'The Lord', The Universe', 'The Is', 'The God and Goddess' or whatever, that is a very true saying. Again all this is explained in great depth in my free Course. I hope it all works out for you, Jack. Jack's Answer: Hello Shar, This is one of those thorny questions. Using the Law of Attraction for other people is not really such a good idea. Apart from the ethical question, LoA does not really work that way. Thoughts lead to inspired actions which lead to results. How can your thoughts lead to his inspired action? Of course your thoughts can lead to your inspired action. If you use the Law of Attraction to attract ideas you can use to help your brother that should be ok, that should work.